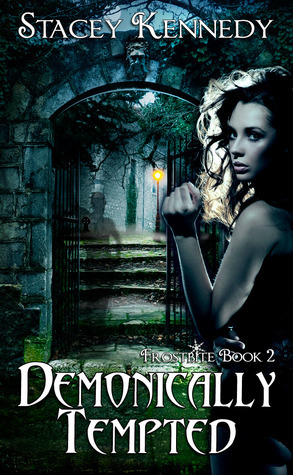 Tess Jennings is back into action in her second installment Demonically Tempted by Stacey Kennedy. This time around Tess finds out there’s more to the supernatural world than just ghosts. There’s also some tension added with a new medium brought in named Dane. Oh yeah, things really got interesting LOL. Stacy Kennedy is awesome in mixing paranormal romance and urban fantasy together. I enjoyed this book more than the first because I felt like Stacey really let out Tess’s attitude. I especially loved it because it reminded me of things I would do and say and I’m sure a lot of you will feel this same way. As for the ending, I really hate cliffhangers but this one really wasn’t so bad at least it lets you in on what could be next or at least could it’s no telling what Stacey has in store for us next lol. I myself can’t wait to see what is going to happen between Tess and Kipp. Hurry up Stacey!! !